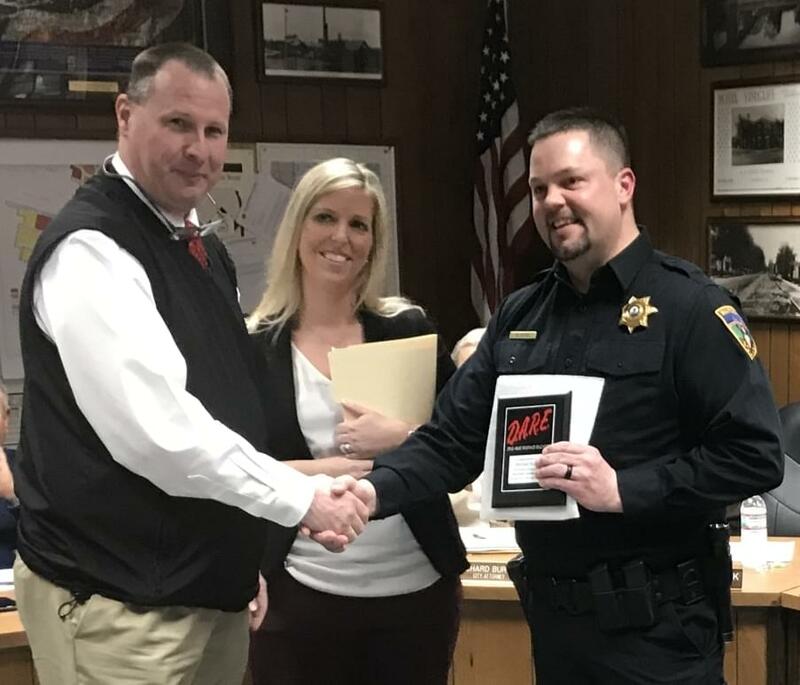 Marseilles Police Officer Michael Byrd is now certified to teach the DARE anti-drug program. DARE stands for drug abuse resistance education. 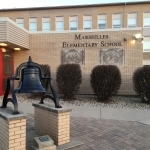 Byrd is the resource officer at Marseilles Elementary School. Supt. Brenda Donahue presented Officer Byrd with a plaque at city council earlier this week. Commissioner of Public Safety Gary Lewey says once the city police department has its new K-9 unit, it will be involved at the school too. It’s part of a broader effort to curb illegal drug sales and use in the city. Some studies suggest that the DARE school program doesn’t actually reduce drug use. (L-R) Principle Jeff Owens, Supt. Brenda Donahue, and Officer Mike Byrd.